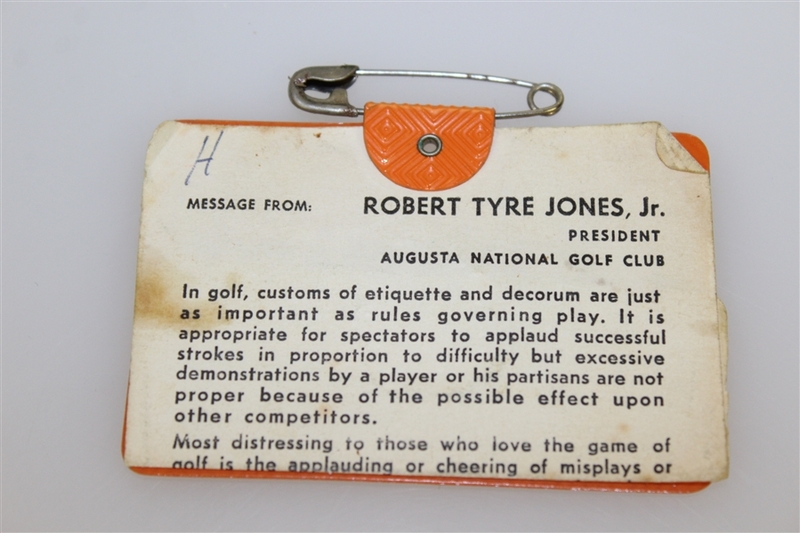 Here we have 1971 Masters Tournament series badge #3456. It comes in great condition with the original pin intact, the paper attachment on the back showing small stains. 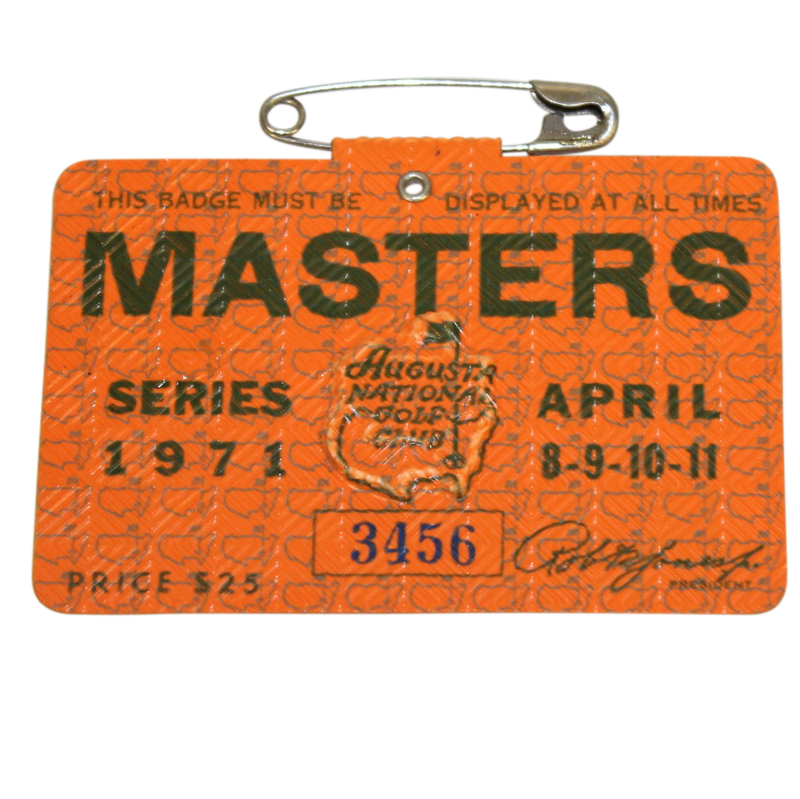 The 1971 Masters marked a bit of redemption for Coody, as he bogeyed the final three holes in 1969 to finish two strokes back. This was his first and only green Jacket.